Getting married in a private villa in Thailand allows you to personalize every aspect of your wedding day. So why not make your invitations match the location? To many brides and grooms, a wedding invitation is so much more than a slip of paper with information about their ceremony written on it. It’s the first real proof of what the big day will be like. Will it be chic and luxurious, quirky and vintage or traditional and elegant? As the saying goes, a picture says a thousand words, and based on the design and embellishments you choose, so will your wedding invitation. For couples getting married in Thailand, wedding invitations offers up a chance to infuse the event with unique flourishes right from the outset. What better way to set the mood than by getting your guests interested in Thailand with some invitations themed around the colours and culture of the Kingdom? 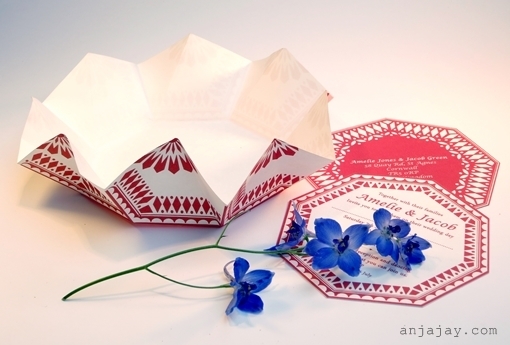 If you think of yourselves as a hand-on couple and you like to inject a little creativity into things, then perhaps a traditional origami invitation would reflect you personalities well? While the Japanese popularized the art of ‘origami’ hundreds of years ago, Chinese paper folding has also been popular for centuries and Thailand is home to a large ethnic Chinese population. Chinese traditions have therefore been passed down through the generations in Thailand – including paper folding, or zhezhi. Give your invitations a distinctive flourish by embellishing them with red and offering your guests something to unravel when they receive the invitation in the post. If you’re hosting a destination wedding, then it makes sense to get guests into the travel mood early on. 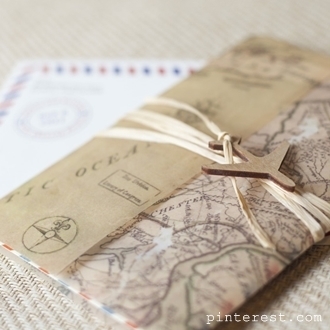 For those that may be lacking when it comes to geography skills, it might be handy if you managed to incorporate a map into the design of your invitation. If you are planning a vintage décor theme on the day itself, why not carry this through to your invitations by printing them on an old fashioned vintage map of Thailand? You can complete the look by sending the invitations out in retro air mail envelopes with red and blue borders. 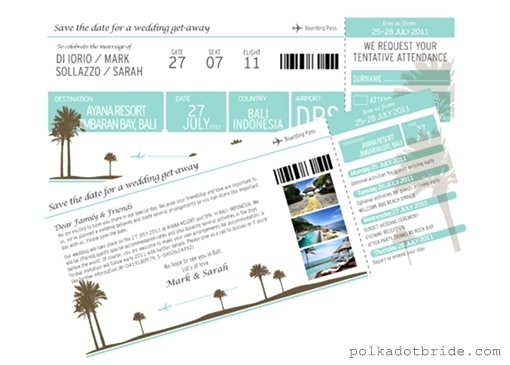 For couples that enjoy getting into the destination wedding vibe, printing up the invitations on mock boarding passes could be an excellent way to get guests into the holiday mood too. If your guests are unaware that you are planning on tying the knot abroad, this could also be a great way to break the exciting news. Boarding passes can be personalized with images and even give hints to any group activities you have planned for the wedding day or rehearsal celebrations. Whether you choose to print up pictures of Thailand’s gorgeous beaches or its stunning emerald jungles, your guests are sure to be dancing around with excitement once they realize where they’re being invited to. Materials matter, and if you want to spend a little more on your invitations then it makes sense to splurge on the ultimate luxury – silk. 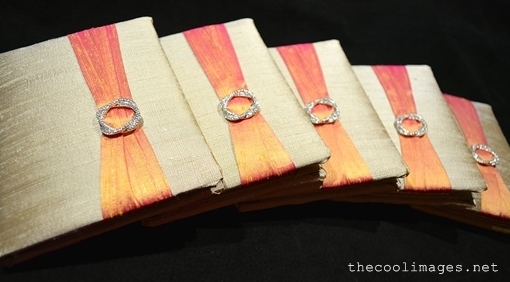 Thailand’s silk industry is famous across the world, and if you can manage to source some in advance of your ceremony this is a great way to introduce the colours of Thai culture into your wedding theme early on. Guests can be presented with invitations in embroidered silk boxes or even with simple silk bows or embellishments attached. Your dedicated Thai wedding planner will be able to help source the relevant materials and provide inspiration for the final designs. If you want to go all out and give your invitations a traditional Thai flourish, incorporate some Thai script into the design. Calligraphy is one of the Kingdom’s most prized art forms, and while your guests may not be able to read the stunning brush stokes; your invitations will look more than impressive. 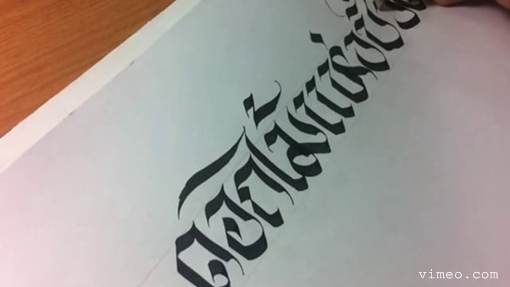 In Thailand, traditional calligraphy and artwork is often painted onto thick sheets of papyrus paper, which also makes for fantastic wedding invitations. Once again, your wedding planner will be able to advise on local artisans who can put some designs together for you.